DRF participated in a two-day consultation between the UN Special Rapporteur on the rights to freedom of peaceful assembly and of association, Clément Voule, and delegates from civil society organizations and NGOs, which was held on 11th and 12th October 2018. DRF’s Executive Director, Ms. Nighat Dad, represented the organization at the event. The consultation brought together 32 participants from North and South America, Africa, Europe, Asia and the Middle East to share experiences and insights on exercising and protecting the rights to freedom of peaceful assembly and of association in the digital space. The participants discussed a broad range of topics, including the notions and definitions of the rights as they apply to the digital space: freedom of assembly and association in facilitating the enjoyment of other human rights; the monitoring and surveillance of online activities, jurisdiction and territorial reach of such measures; and the responsibilities of businesses and other parties beyond the primary responsibility of the state. Ms. Dad not only shared experiences of DRF’s work but also gave recommendations to the UN Special Rapporteur to tackle ways in which the rights to freedom of peaceful assembly and association are impeded online. 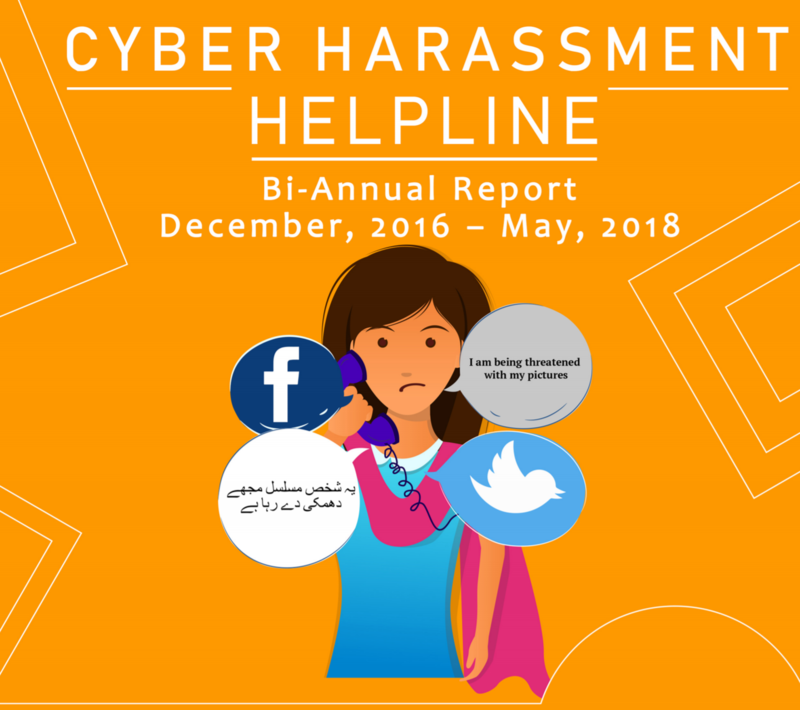 DRF’s Cyber Harassment Helpline released its bi-annual report for the period December 2016 to May 2018. The report is a compilation of data collected by the Helpline which highlights the nature and extent of the problem of online harassment. The report also contains recommendations for public bodies to improve their institutional response to online harassment. It can be found here. 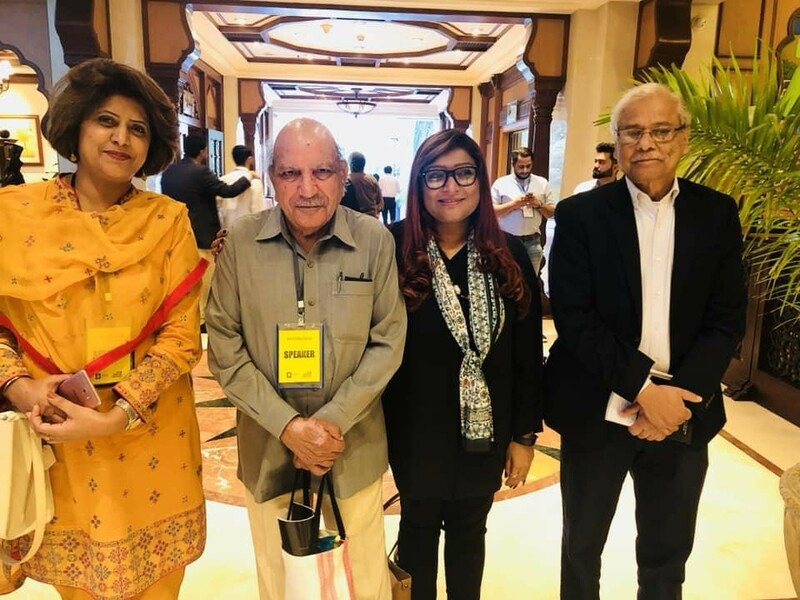 Nighat Dad moderated a panel titled ‘Cyber Laws and Protection of Human Rights’ at the Asma Jahangir Conference on the 13th of October. The session focused on how online spaces have evolved over the years and so have its impact in offline spaces. The panel discussed the successes and failures of the cyber crime law and also focused on freedom of expression, fundamental human rights and the integration of your online life in offline spaces. 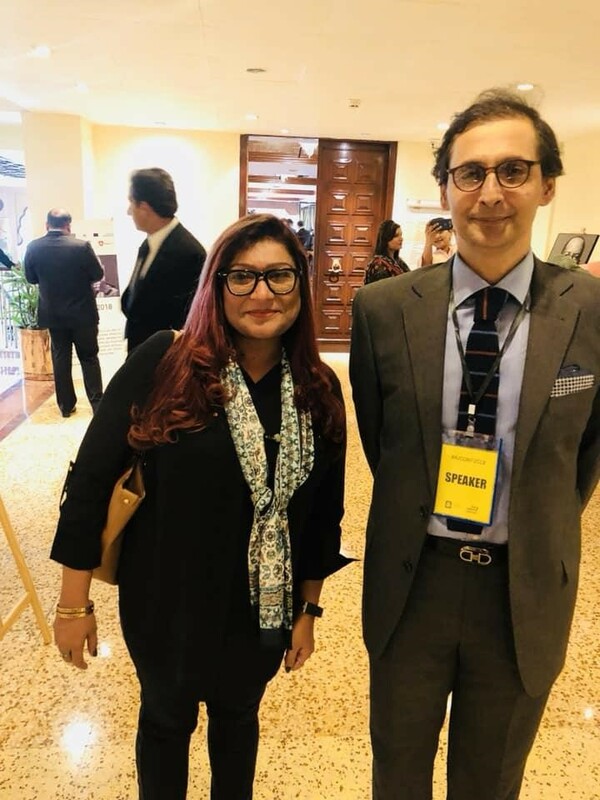 Voice of America Urdu featured DRF’s Cyber Harassment Helpline and the Executive Director, Ms. Nighat Dad, discussed the ways through which cyber crime could be perpetrated especially when pictures of women are uploaded and shared online without their consent. She talked about how the helpline was introduced in 2016 with the aim of providing help to not just women but everyone who face any kind of harassment and encouraged people to come forward with their complaints. Click here to view the video. DRF participated in the OTF Summit 2018 in Taiwan. Around 100 participants were present from various civil society organizations from around the globe. DRF led the discussion on the challenges of digital rights in South Asia. DRF held a session at University of Balochistan with the students of Media and Journalism department on October 10, 2018. Around 78 students attended the awareness raising session where they were encouraged to keep themselves secure online. 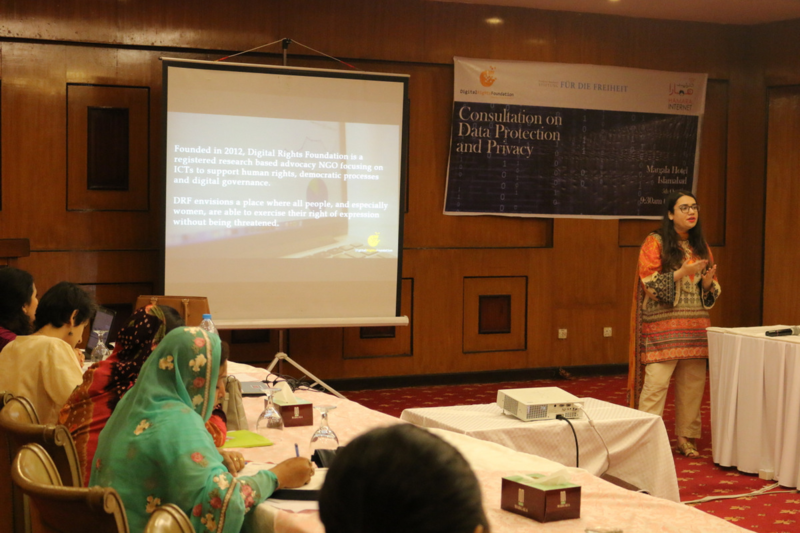 On 11th October 2018, DRF conducted a workshop which was held for lawyers in Quetta, focussing on creating awareness regarding digital rights and the legal landscape that governs digital platforms. DRF received an overwhelming response in Quetta and around 50 lawyers attended the workshop. The participants were given specifically designed toolkits to guide them on how they can make online spaces safe for themselves, by adopting various tools and resources available to them. 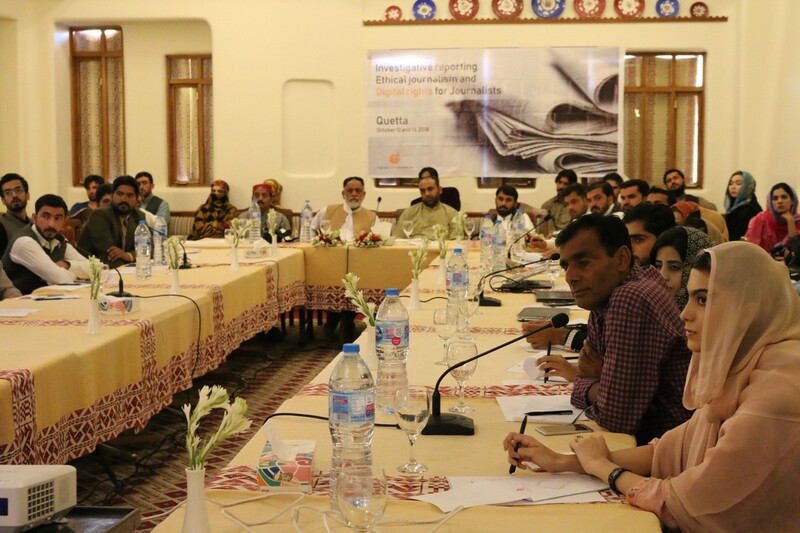 DRF organized a two-day workshop for journalists on ‘Investigative Reporting, Ethical Journalism and Digital Rights’. The event was held in Quetta on 12th and 13th October and journalists from all over Balochistan attended the workshop. The workshop held a discussion on whether the existing media ethics are suitable for the evolving digital media landscape or new and different standards are needed. 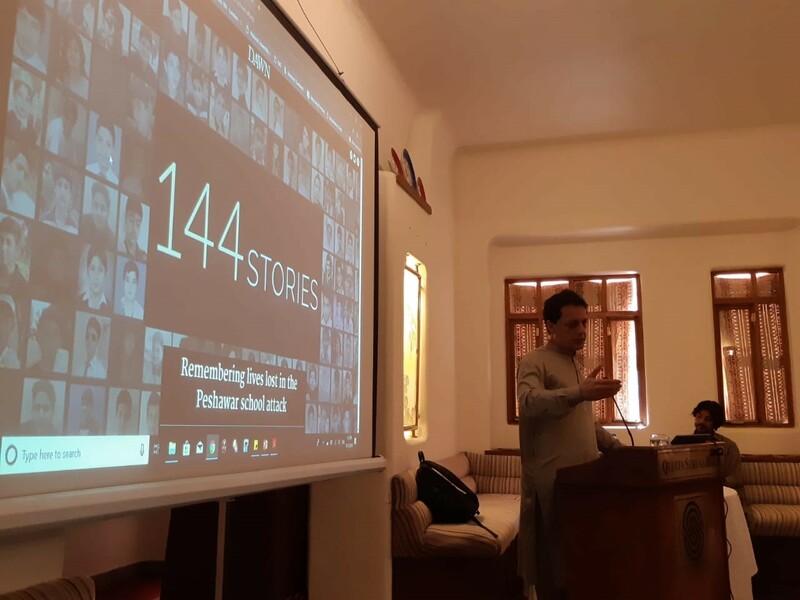 The sessions also focused on actions needed to tackle the spread of fake news and disinformation online, particularly as digital misinformation is extremely potent in Pakistan, owing to a large segment of the population lacking digital literacy. Another session was aimed at creating awareness about the legal landscape that governs digital platforms for freedom of media and journalists. The participants were also given hands-on training and specifically designed toolkits to guide them on how they can make online spaces safe for themselves. Digital Rights Foundation hosted the Hamara Internet: multi stakeholder Consultation on Data Protection and Privacy in collaboration with our partners Fur Die Freiheit (FNF) with lawyer, journalists and civil society members on the 5th of October. The consultation focused on the Personal Data Protection Bill 2018 and advocated for privacy rights in Pakistan. Participants were enthusiastic to give recommendations regarding the the bill and also emphasized on similar consultations happening in other cities. 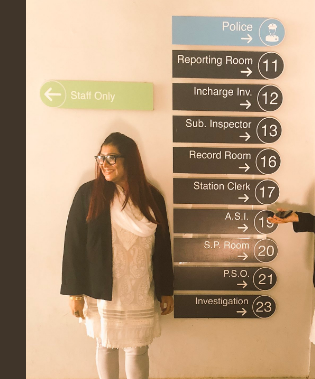 Members of the DRF team visited the Violence Against Women Centre (VAWC) in Multan on 8th October, and were given a thorough tour by the Prosecutor. 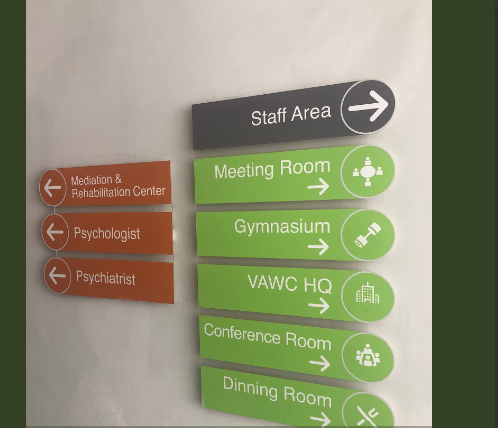 The Center contains a mediation and rehabilitation center, services of a trained psychologist and psychiatrist, medical facilities and doctors, investigation rooms and designated area for holding perpetrators of violence against women. The VAWC has been thoughtfully planned and caters to women at every stage of their struggles, from collecting medical evidence and gaining medical assistance, to taking legal action and dealing with the aftermath of the same. DRF was alerted to the fact that due to the change in government, there is a severe lack of funding hampering the VAWC’s operations. DRF hopes that by raising awareness of these impeccable facilities, which sadly remain non operational at this time, the new government will take ownership of the same and emulate this model in its efforts in other cities. 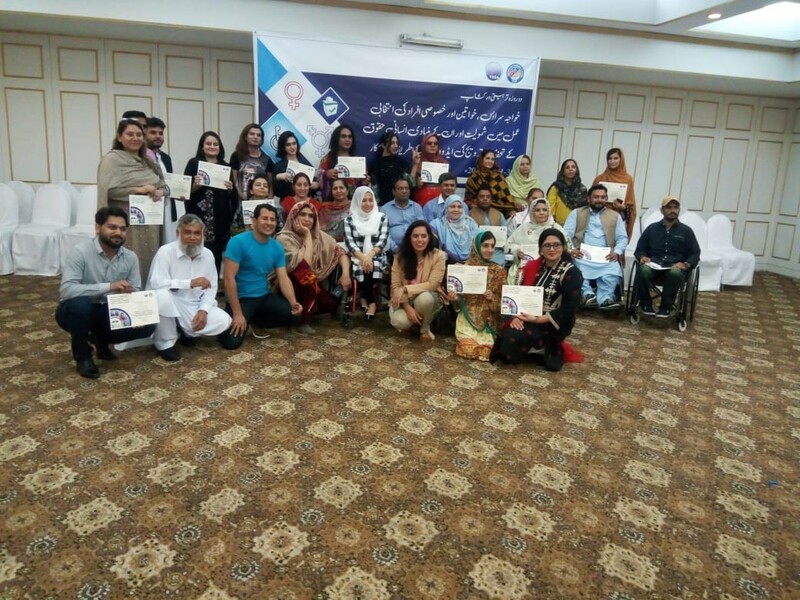 Employees of DRF travelled to Islamabad to attend a two-day training organized by the Trust for Democratic Education and Accountability (TDEA) on the 30th and 31st of October. The training was focused on equipping members of the Coalition for Inclusive Pakistan of which DRF is a member, with tips and strategies on how to effectively pursue advocacy of a charter of demands that each individual group had devised. 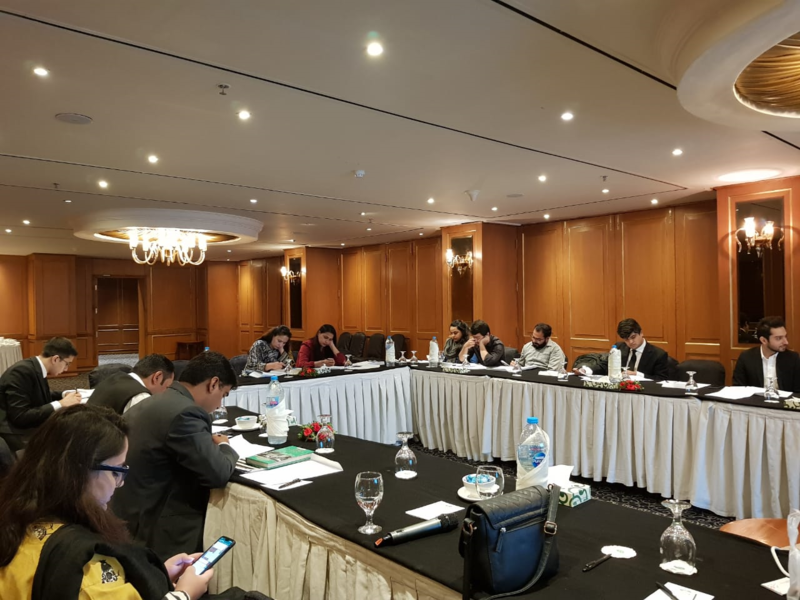 On 13th October 2018, DRF arranged a training in Lahore for lawyers on digital rights and cybercrime laws in Pakistan. The workshop was arranged in collaboration with UN Women. The aim of this workshop was create to awareness regarding laws governing digital spaces, an under litigated area in Pakistani law. 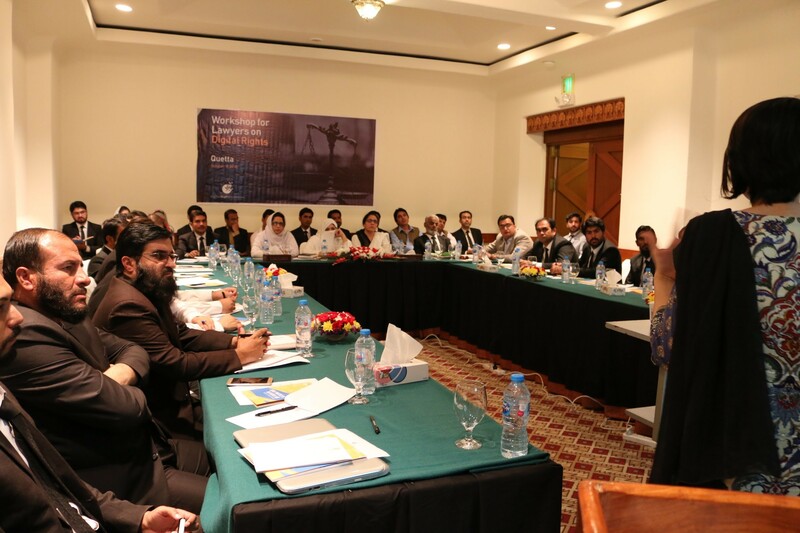 The workshop was attended by over 20 lawyers from several parts of Pakistan.. 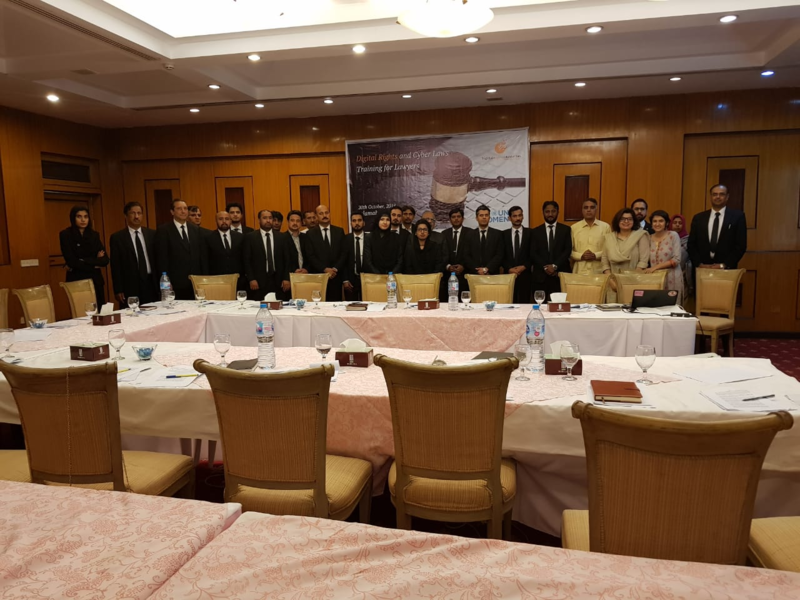 It was busy month for lawyers, as DRF followed up its Lahore training with a similar one in Islamabad on October 20th. 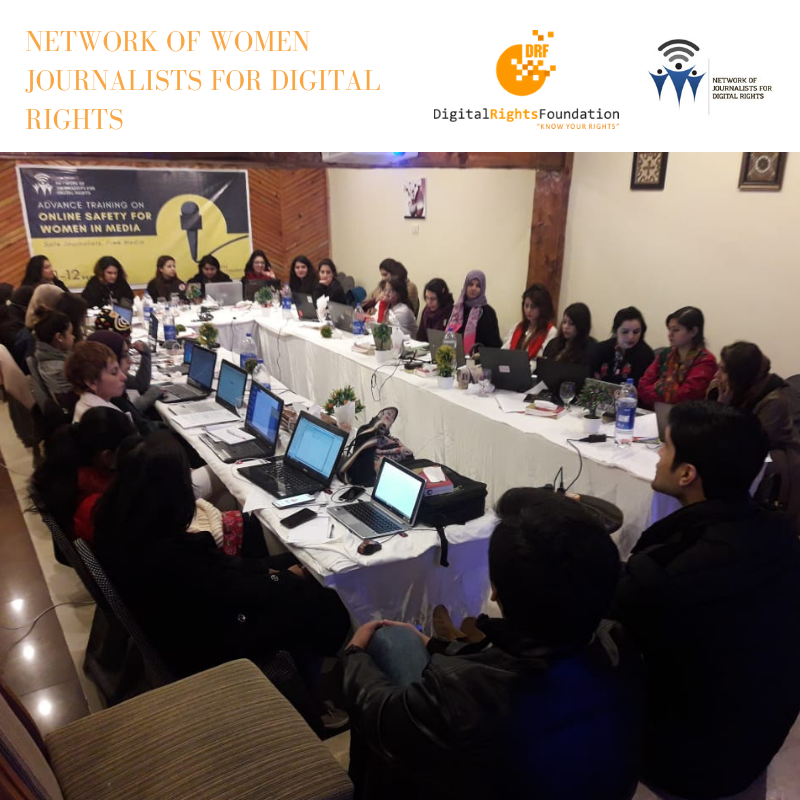 In collaboration with UN Women and our trainer Haider Imtiaz, the one day workshop covered constitutional law, the Prevention of Electronic Crimes Act, the FIA Act and electronic evidence. Digital freedoms in Pakistan were discussed at length and the participants were encouraged to take up cases regarding digital spaces. 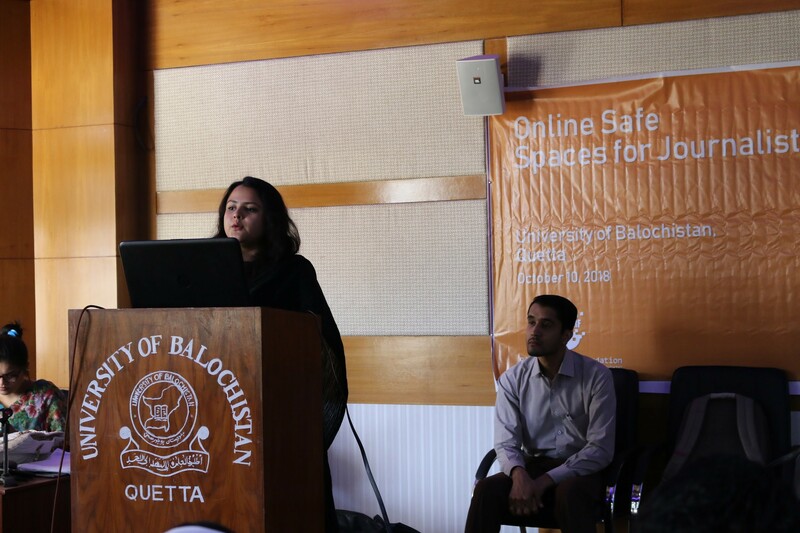 Digital Rights Foundation hosted the Hamara Internet session ‘Our Right to Safe Online Spaces’ with the help of our partners Fur Die Freiheit (FNF) for students and faculty of SZABIST University on the 29h of October 2018 in, Karachi. The session was attended by 79 students and a much needed debate around data protection, privacy and cyber harassment took place.